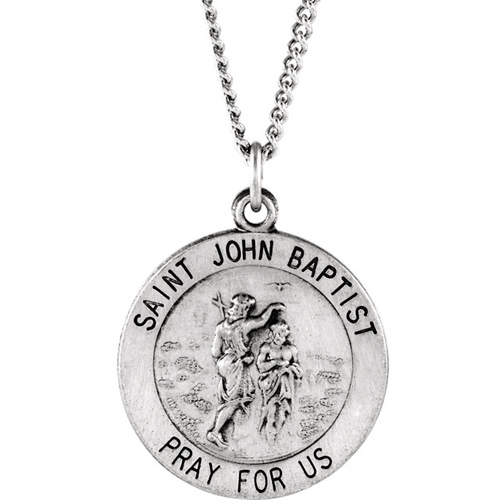 This sterling silver St John the Baptist medal includes a matching 18-inch chain. Item size: 18.5mm. This item is the size of a penny. Inscription reads: SAINT JOHN BAPTIST PRAY FOR US. Weighs 2.22 grams. Made in the USA.